The Local, Search and Social Summit held on October 1, 2015 was a great success! With over 130 registered, the event was a sellout. 95% of those registered were SMBs ready to learn more about how to make the most of the digital marketing for their business. 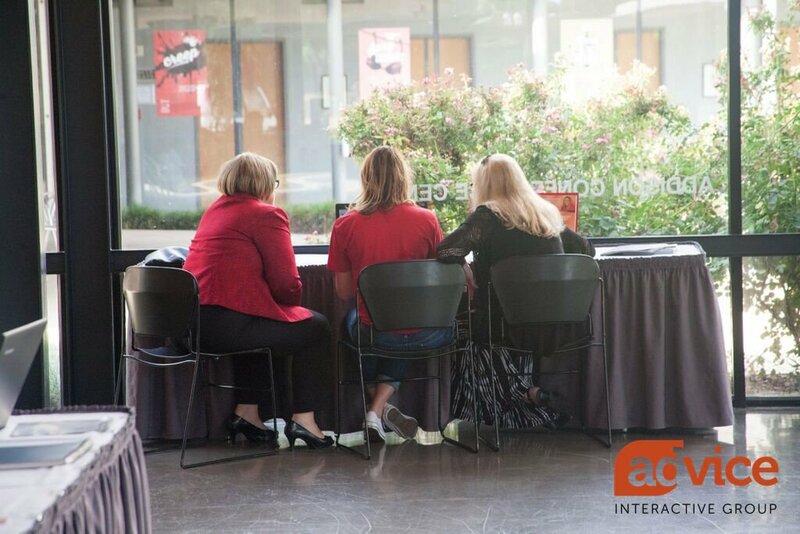 Thanks to the generosity of Advice Interactive Group, the registration fee was fully sponsored so there was no cost to attend. In addition to their sponsorship, CEO Bernadette Coleman and the Advice team were on hand to support SMBs throughout the day. The Summit was held at the Addison Conference Center in Addison, Texas and focused on SMBs and brands and their online presence. The focus of the day was on the fact that they not only need to have an online presence, but have an online presence that outshines their competitors. Attendees were also treated to a guest speaker from Google, Ben Killmer, who spoke on “Why Our Biggest Opportunity is The Smallest Moments”. The day focused on local SEO, paid search, citation building, creating locally focused content, and building an engaged community of brand ambassadors on social media. Read the blog highlights now! Bernadette Coleman, known as the #QueenofLocalSEO online, shared the top secrets and strategies that her digital marketing agency uses to get their customers on the first page of search and remain there. Her presentation included discussion on local SEO, citation building, content marketing and best practices. Justin Liles, SVP of Local Search at Advice Interactive Group, walked us through claiming and optimizing a Google My Business listing. Want to rank in search? 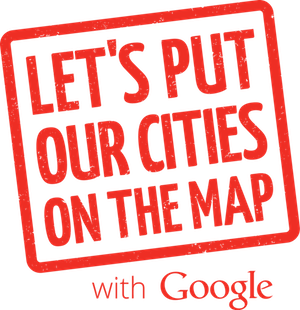 You cannot ignore your Google My Business Listing and businesses in attendance had the opportunity to create and verify their listing on the spot. Advice Interactive is a Get Your Business Online City Partner and they held their 1st of many workshops during this event. Lissa Duty, known as the “Online Social Coach” walked attendees through creating or fine-tuning their social media plan. Lissa challenged business owners to think beyond just using social media to get more customers, by why, what, when and where to start. Included in her session, was how to write social media updates, get engagement and how often to post. Natalie Gould and Rachel Morgan were the dynamic duo that took attendees through how to keep their website current with fresh content, drive site traffic and rank higher in search results. The discussion included: Local SEO, Link Building, Content Planning and Creation. Finishing out the day, Ben Killmer, Strategic Partner Manager at Google, shared with attendees how mobile has fractured the consumer journey into hundreds of real-time, intent-driven micro-moments. Micro-moments are the new battleground for brands. To win, businesses need to be at every micro-moment that matters to their audience and deliver experiences that move people to choose their business. The free online visibility appointments offered on-site at the summit were a huge success! Team members from Advice Interactive Group that met with SMBs in private sessions to discuss their individual online visibility were: Nate Henry Luedtke, President of SMBs agency services, Natalie Gould VP of Content Management and Rachel Morgan Sr. SEO Manager. Terry Coleman, the Business Development Manager for Local Site Submit, was also on-site working with businesses that had multiple locations to increase their online visibility. Want to attend more events like this? Local to Dallas-Fort Worth? Join our Rocks Digital Meetup Group. We’ll be meeting at the SMU Plano Campus each month.